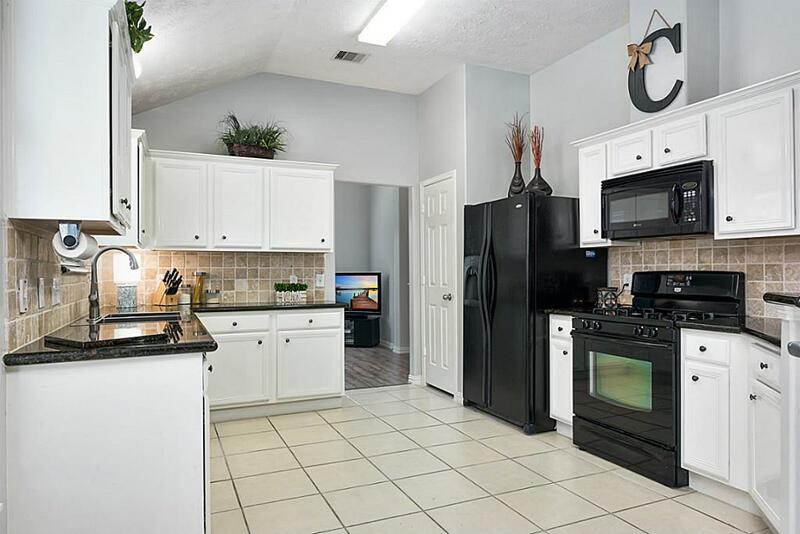 Timelessly updated 3 bedroom 2 bath home in Villages of Bridgestone. 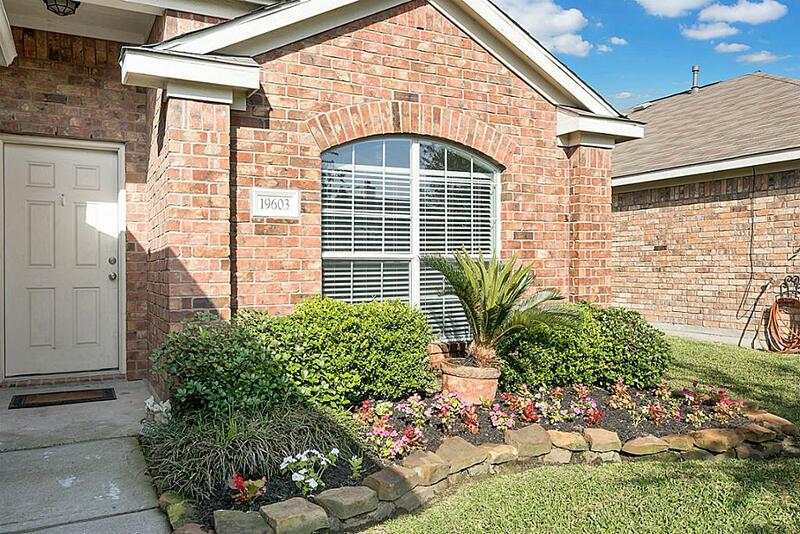 Luscious front yard, double driveway and two car garage are just the start of the gorgeous features your new home has to offer. 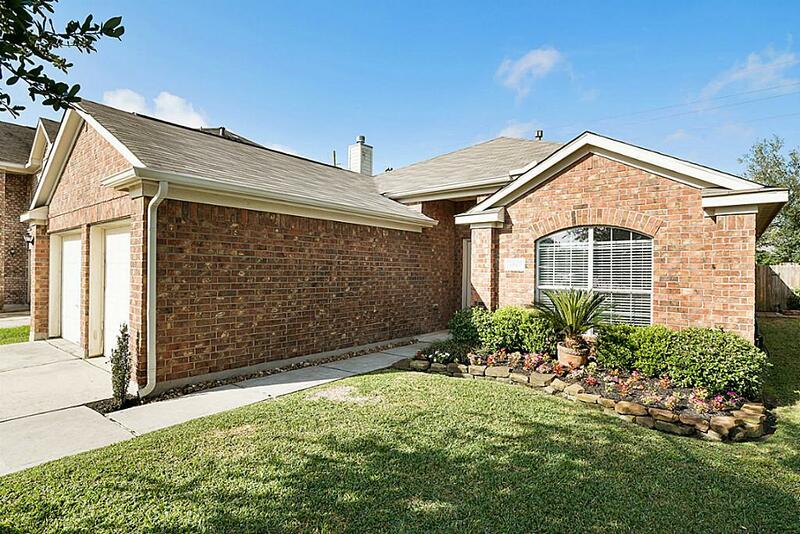 Guests and family are greeted with your lovely landscaped front yard. Front entry. Note the exquiste flooring and cool color pallet. 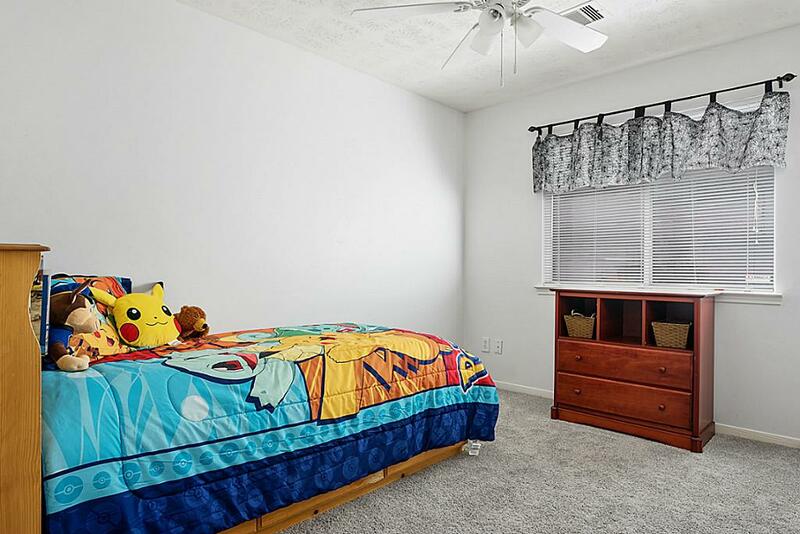 This large formal living / formal dining is showcased here as a gameroom/playroom to show versatility in use of space. 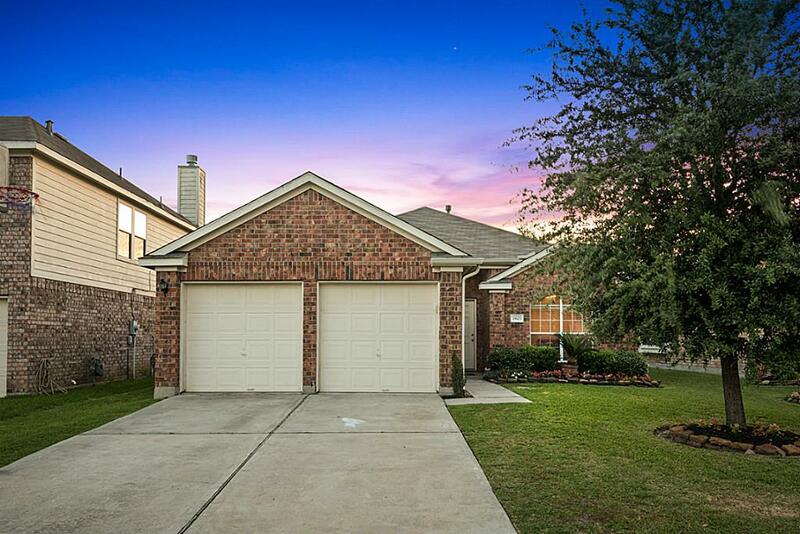 Your updated kitchen features granite counters, stunning backsplash, new appliances, high ceilings, and ample storage. 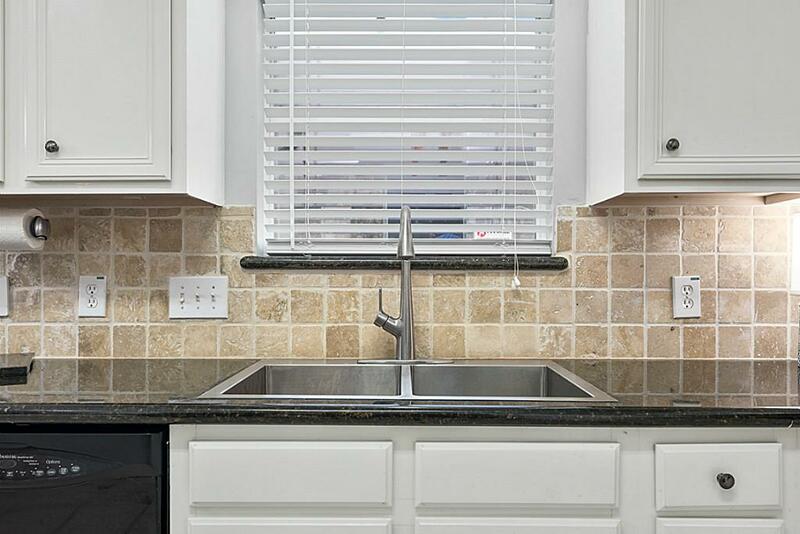 Note the superb backsplash and smooth granite counters! 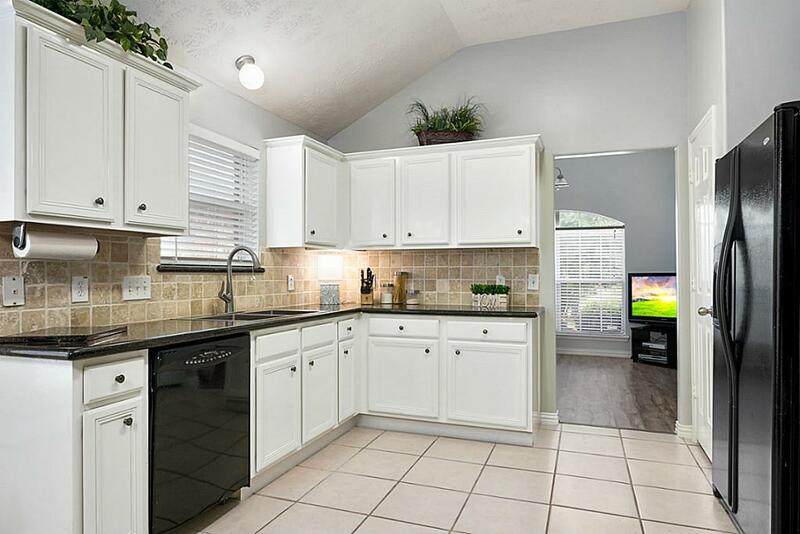 This updated kitchen is sure to inspire your inner chef. Bright and airy breakfast room features a large window to allow for natural light to flood in while you enjoy meals with family and friends. 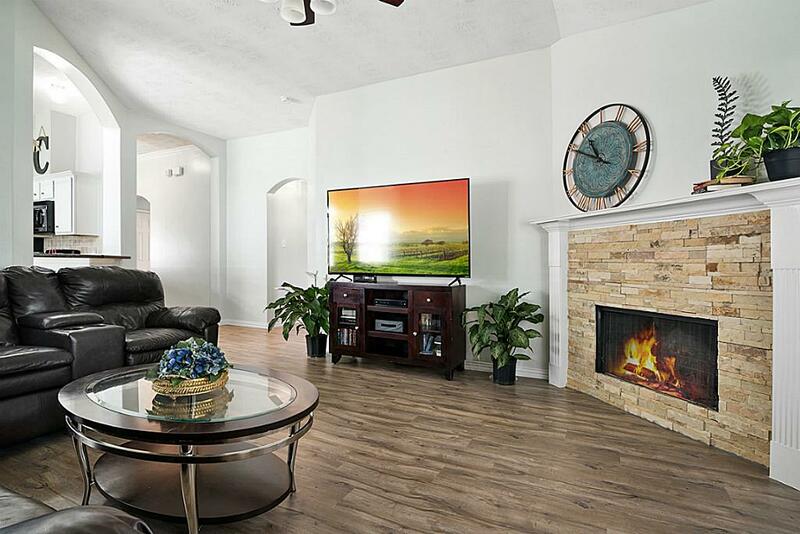 Open concept living creates the ideal space for unwinding after the work day. 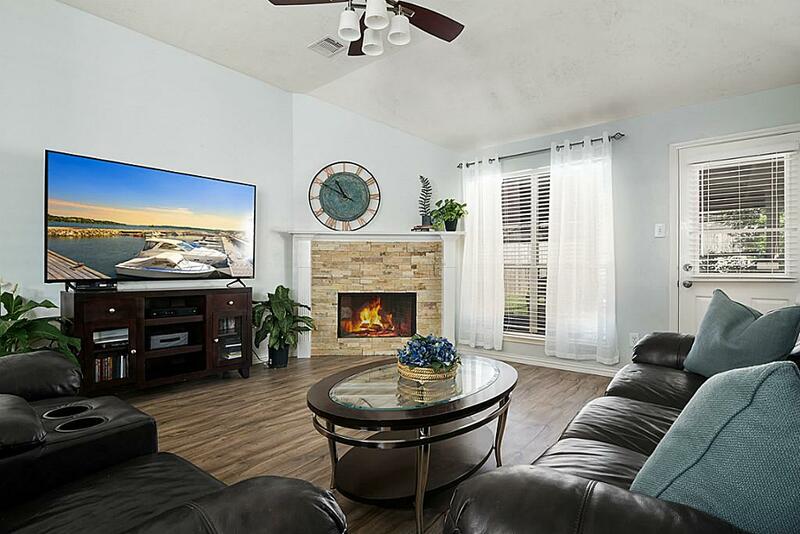 Your new fireplace has been updated with a modern stone surrounding. 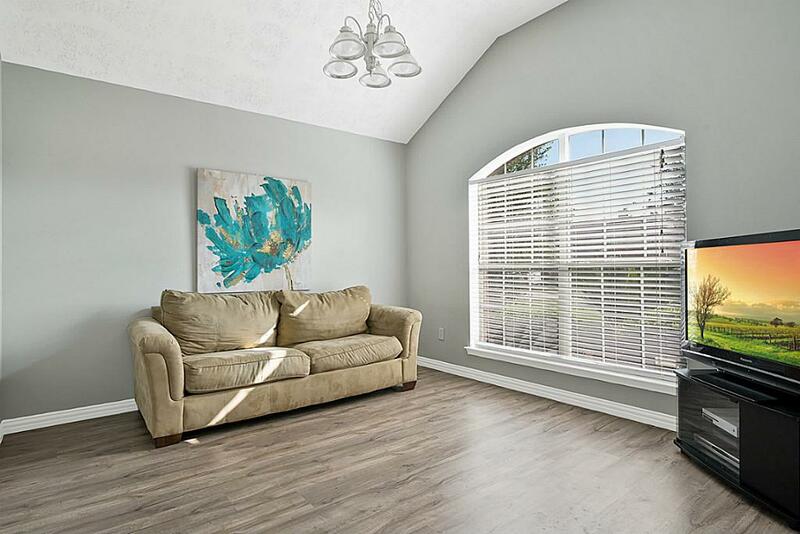 Large windows overlook your backyard and patio area. 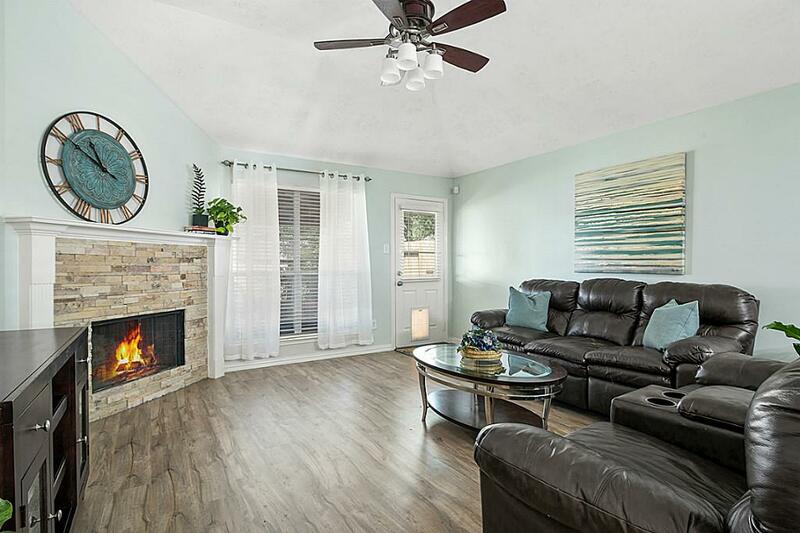 Updated flooring throughout create an organically seamless flow from room to room. 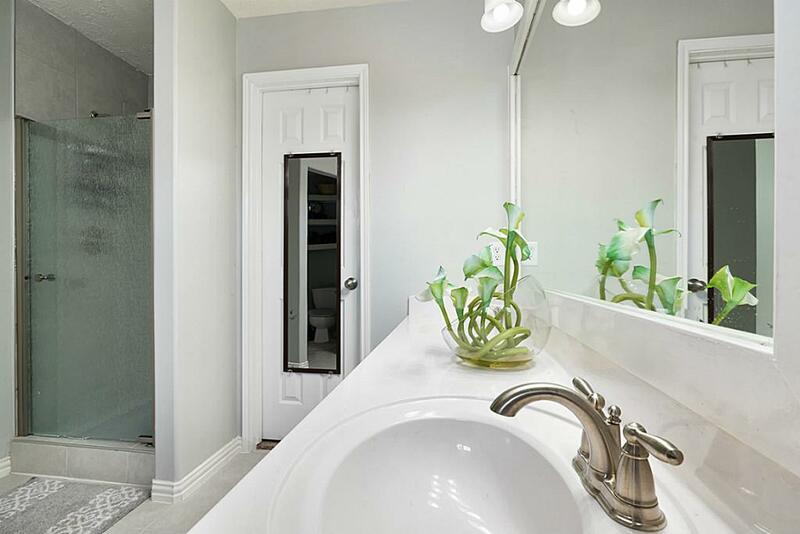 Your new master suite is not only large but tranquil as well. Note the high ceilings. 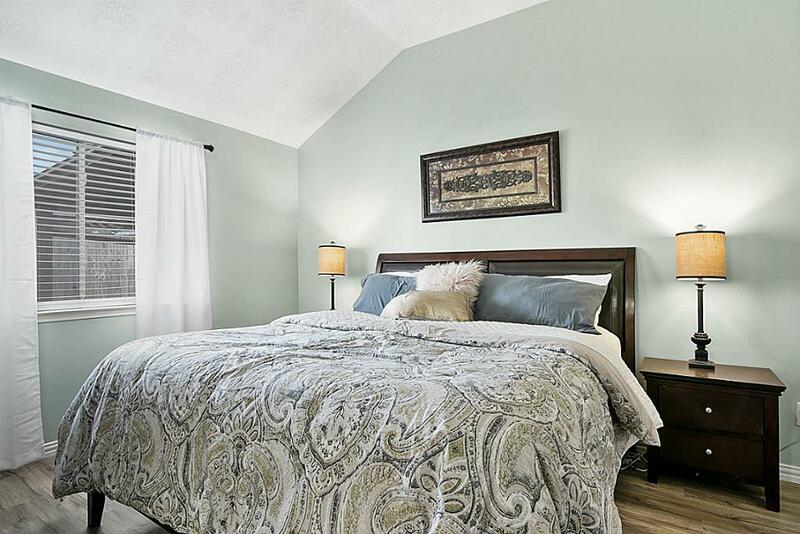 Updates like fresh paint and new flooring make this master bedroom a relaxing retreat. 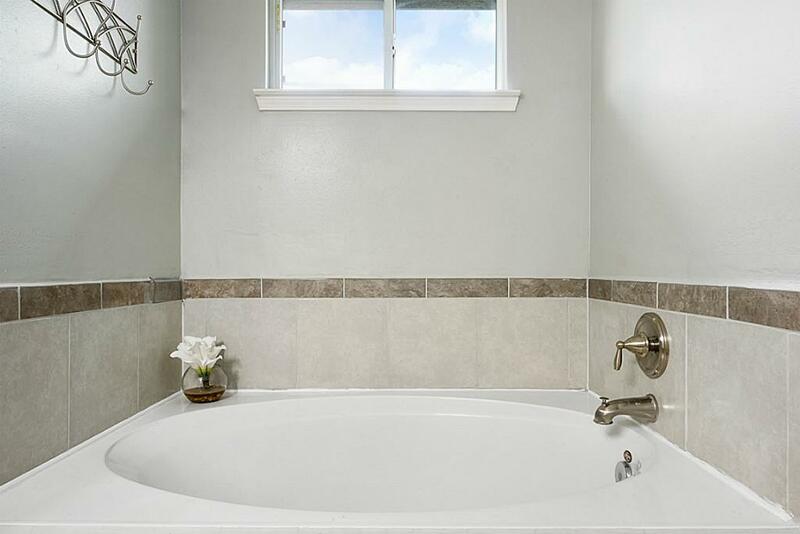 Mater bath with separate shower and tub. Can you say relaxing?! 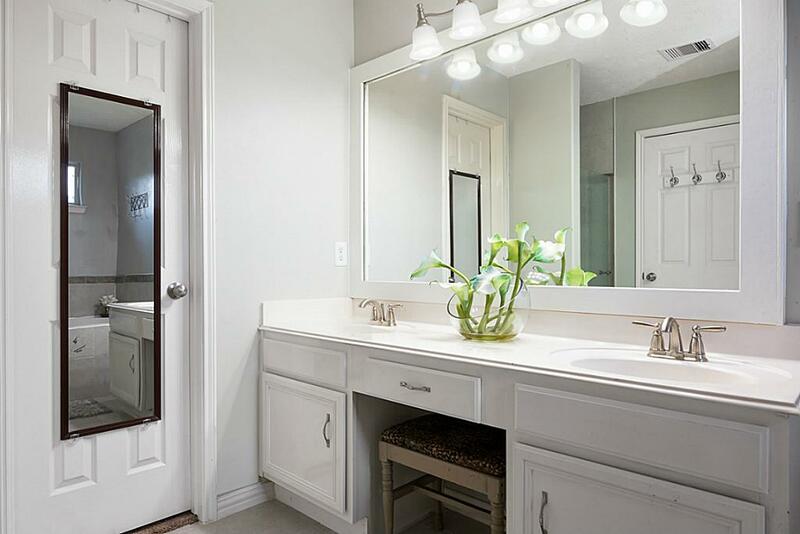 Master bathroom has updated lighting, faucets and gorgeous dual vanity with ample storage and counter space. Another view of the vanities and updated walk-in shower. 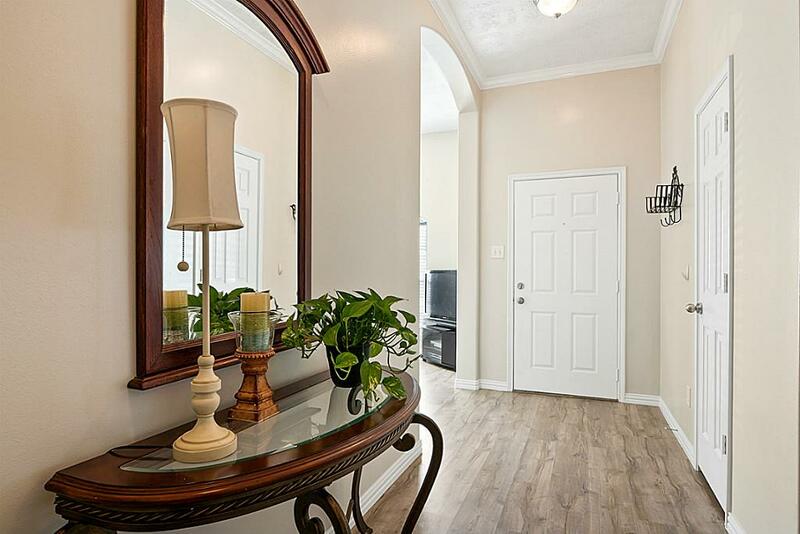 Your master walk-in closet is conveniently located off the bathroom. 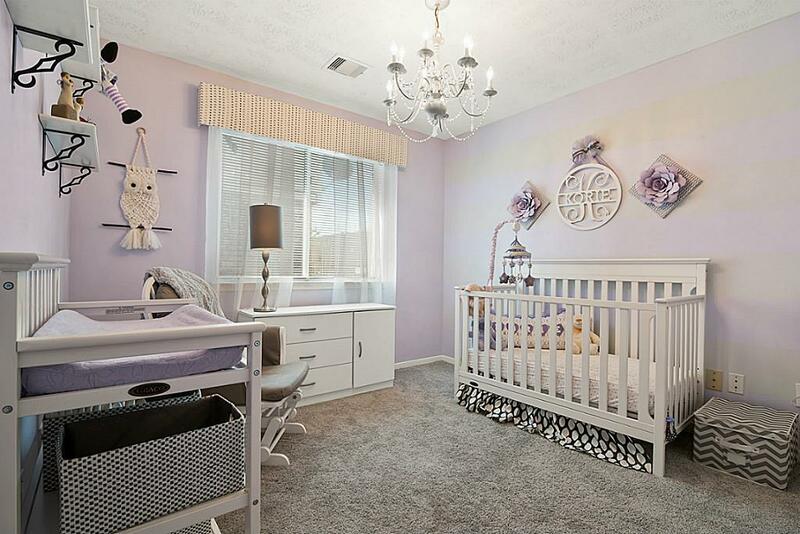 Second bedroom shown here as a sweet nursery. New carpet replaced in 2016. 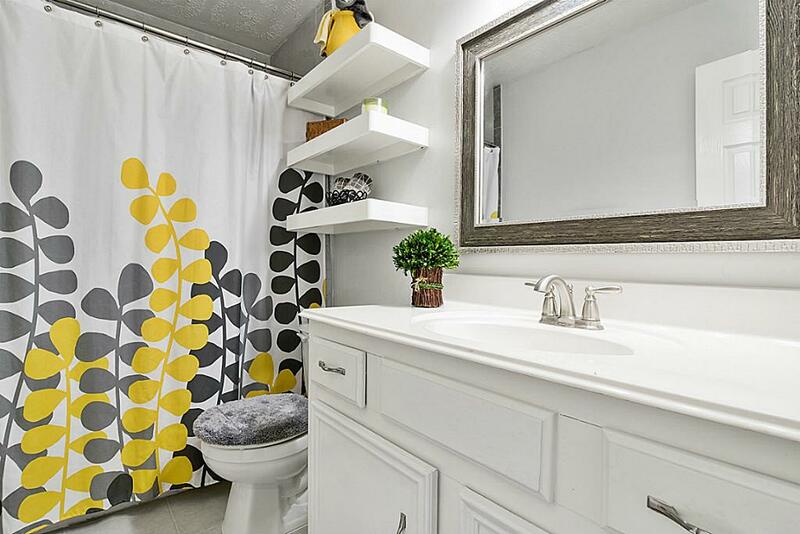 Guest bathroom with new faucets, lighting, and the floating shelves allowing for extra storage and decor. Third bedroom with fresh paint and new carpets. 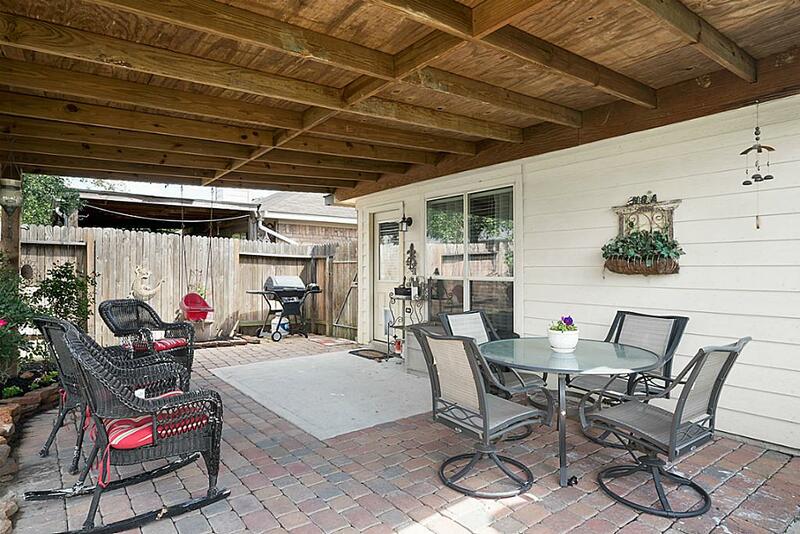 Large back patio is covered making it the perfect place for your outdoor grill and patio furniture. 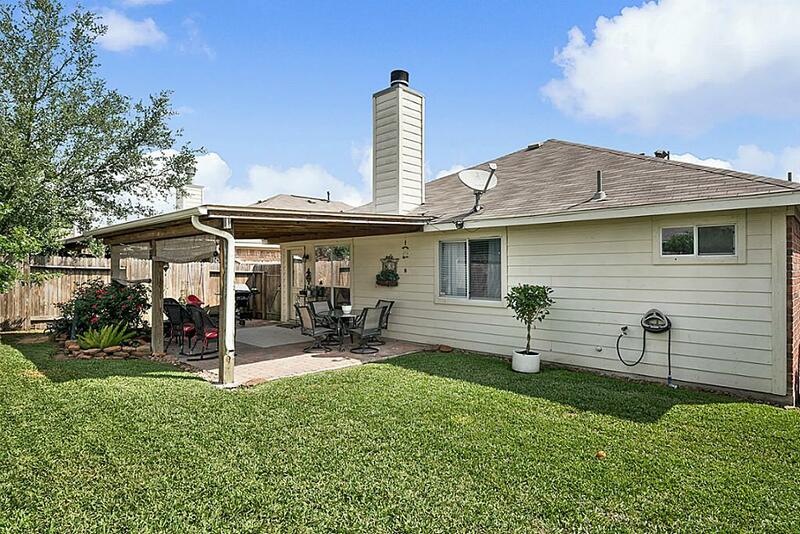 Host your next backyard BBQ while escaping the summer heat under your covered porch. 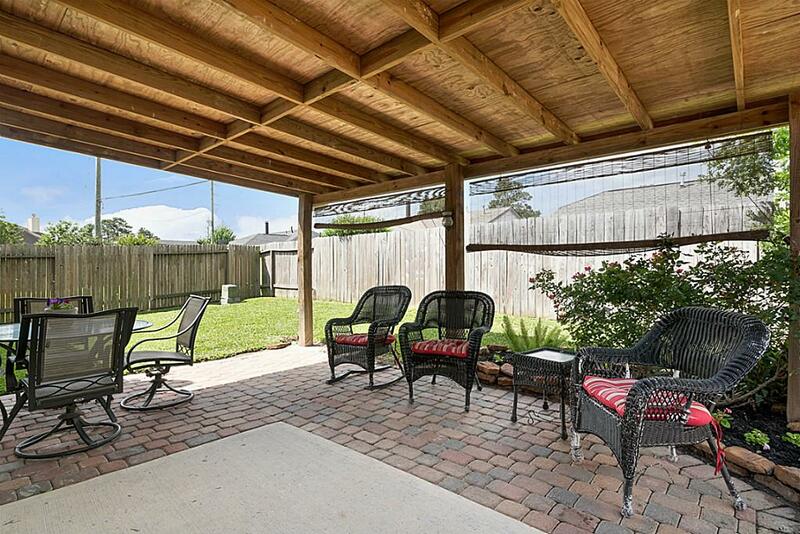 Large backyard ideal for pets and kids to play safely. Privacy fence surrounds backyard. 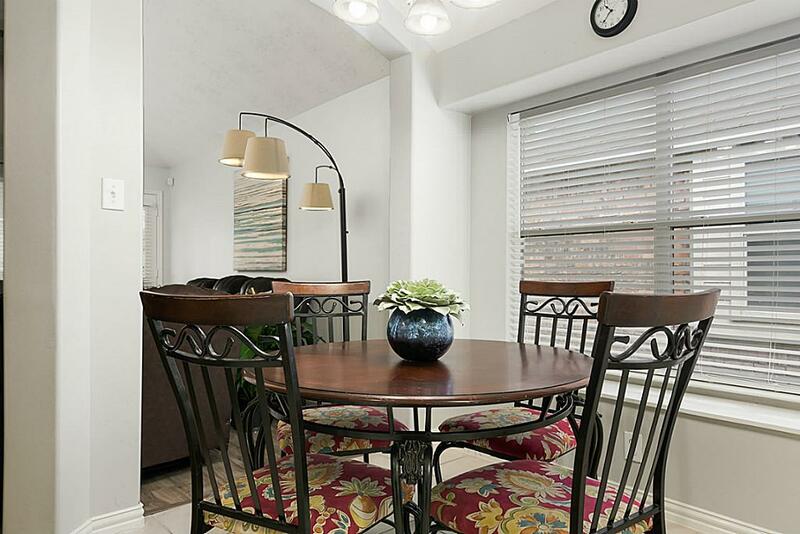 Enjoy shopping, dining, and festivals in Old Town Spring just minutes from your new home. Old Town Spring Crawfish Festival is coming soon! 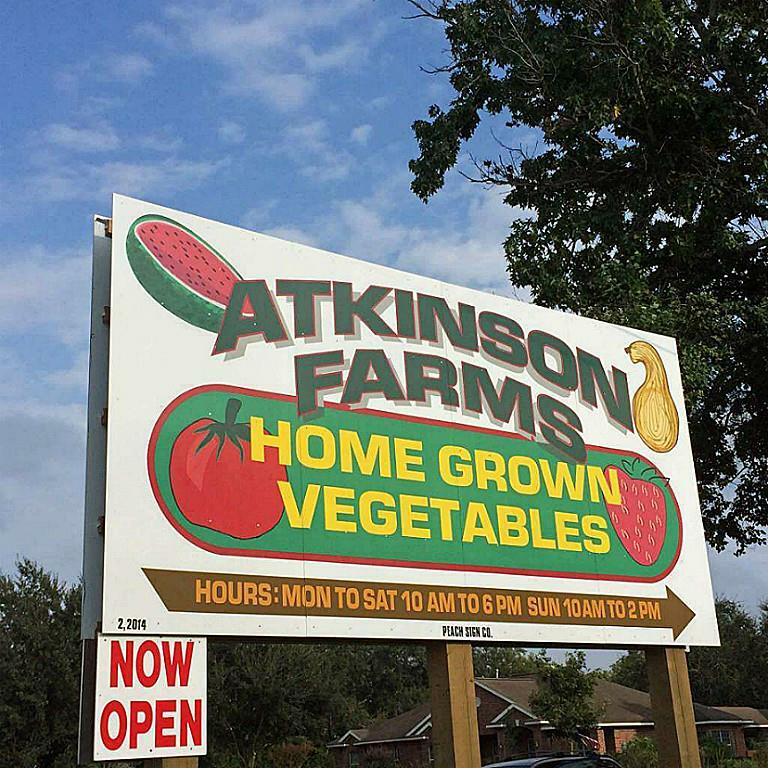 Atkinson Farms is 4th generation farm located on Spring Cypress within biking distance. You can select fresh locally grown produce in the store, or pick them fresh yourself! 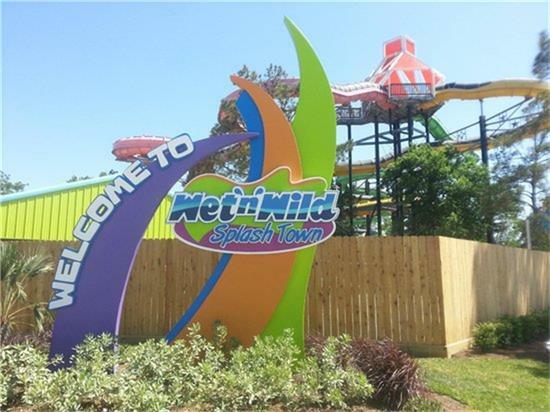 Cool off down the road this summer at Wet-n-Wild Splashtown! 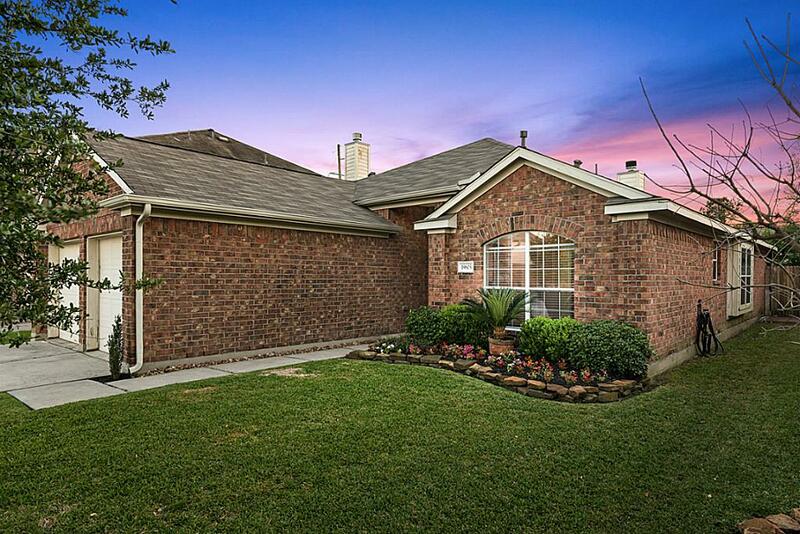 Enjoy concerts all year round at the Cynthia Woodlands Pavillion just a quick drive from your new home. 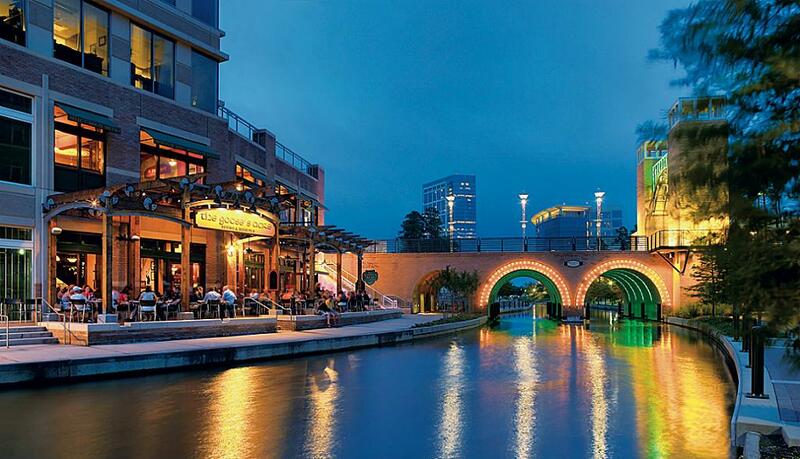 The Woodlands is a quick drive to enjoying numerous restaurants, The Woodlands Mall, and to take a tour on the waterway.